I’ve been reading furiously (furiously, I tell you!) this year, but between school, work, and motherhood, sitting down and actually writing reviews has proven pretty difficult. 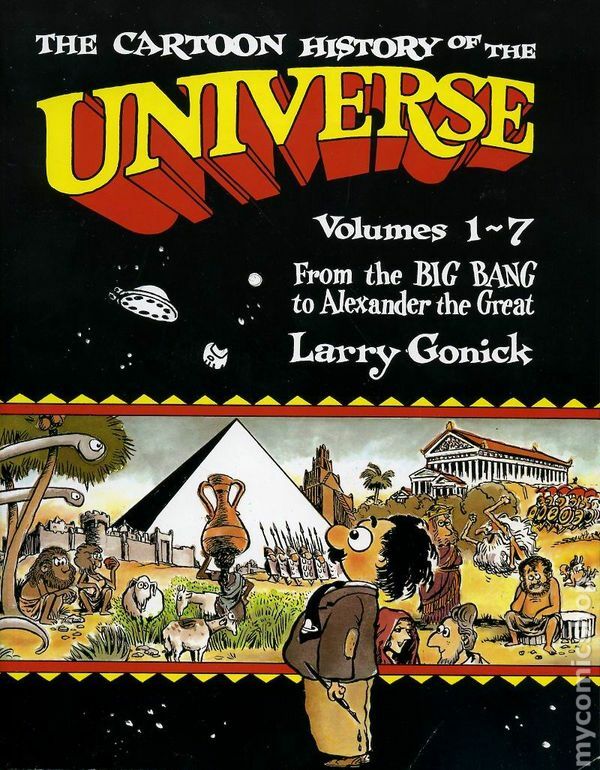 So over the next few days, I’ll be posting much more often in an effort to complete this year’s Cannonball Read! In the Garden of Beasts is the true story of the American ambassador to Berlin during Hitler’s rise to power. William E. Dodd is a college professor at the University of Chicago. A quiet, Jeffersonian Democrat (and friend to Woodrow Wilson), his greatest wish is to finish his multi-volume history of the Old South. Plucked from his post, he moves his family: wife, son Bill and daughter Martha – to Berlin in the spring of 1933. This is as much Martha’s story as it is Dodd’s. A wild young woman fleeing a bad marriage, she has literary aspirations but not much focus. She takes to the glittering Nazi social scene, and embarks on an energetic series of affairs. Her lovers are both high-ranking Nazis and Communist agents, and her behavior threatens Dodd’s standing. Dodd himself is an outsider to the diplomatic corps. Dubbed the “Pretty Good Club”, they consist mostly of wealthy Ivy League graduates. Dodd is determined to live frugally, and even drives his own American-made car around town. This difference, and his unwillingness to “play along”, will make his job much harder in the years to come. The US government at this time is more concerned with Germany’s debt (and acquiring repayment) than with any human rights violations. Dodd is sent to Berlin with this goal in mind. As he and his family become witnesses to Hitler’s brutal rise and consolidation of power, his focus changes. Convincing Washington to act, however, proves difficult. More crime, but much more charming. This is one of the books my husband has brought home after hearing about it on Radio 4. He never reads them, but thinks I might like them, and I love him and think it’s the most romantic thing ever. I had never heard about Josephine Tey before, and I don’t know if that’s strange. She died in 1952, so her novels qualify as classics, and, as wikipedia has just told me, The Daughter of Time was voted greatest mystery novel of all time by the Crime Writers’ Association in 1990. I had no idea, and it makes me smile, because there is nothing particularly suspenseful or spooky about it. It’s just… charming. I have a feeling I’m going to use this word a lot in this review. Inspector Alan Grant of Scotland Yard is in hospital with a broken leg, and in order not to go mad, he asks his friends to supply him with mysteries to solve. He ends up with reproductions of portraits of famous people, and is fascinated by the one of Richard III, a famously deceitful, murderous brute of a King, whose face, according to Grant, shows nothing but gentleness and suffering. With the help of a researcher at the British museum, Inspector Grant sets out to solve the mystery of the Princes in the Tower, the young nephews Richard III is said to have killed. All I know about British history is puzzled together from bits I have read in novels or seen in movies, and this particular episode was mostly unknown to me. For a British reader in 1952, it would have been one of the best-known bits of historical knowledge, I guess, which makes the novel exciting from the start. As it turns out, it’s a joy to read, and quite easy to follow even for the uninitiated (me). It’s a straightforward mystery, with new and astounding facts delivered to Grant’s hospital bed every day, and moving along at a steady pace. Grant is charming (there! ), the minor characters are lovely (even better! ), and even Richard III turns out to be a good man. Everything about this book made me feel warm and fuzzy; its old-fashionedness (The time it takes to find facts! Old school books have to be ordered or rummaged for in the nurses’ bookshelves, volumes leafed through in the British Museum, telegrammes waited for in hospital… Ah. ), the goodwill and friendliness of the characters, the fact that the most recent bloodshed happened in the 15th century… This is a comfort read. The entire Josephine Tey boxset immediately went onto my Christmas wish list. I’ll be the happiest reader for the next few weeks. 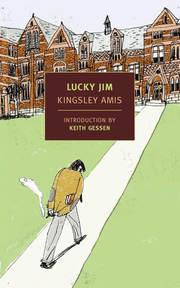 Lucky Jim by Kingsley Amis is a good choice for fans of Brit lit in the vein of P.G. Wodehouse and Jerome K. Jerome’s Three Men in a Boat. It’s witty with biting humor although it does lack some of the whimsey found in Wodehouse and Three Men. Amis’ writing has more of an edge and flirts with misanthropy, but manages not to fall head over heels into it. Protagonist Jim Dixon is a history lecturer at a provincial college. His advisor Welch is a pretentious bore, Welch’s wife is a shrew and his son Bertrand an arrogant snob with a hot girlfriend. Margaret is a single, not beautiful but not ugly colleague and friend (perhaps more?) who seems emotionally unstable. Jim is closing the school term, trying to get published and to keep in Welch’s good graces so as to keep his position, but Jim hates them all. He is not quite a misanthrope, having kind impulses toward Margaret and good relations with a few chums. But there are fools whom he will not suffer — Welch, Bertrand, and his fellow boarder Johns, with whom he has an antagonistic combative relationship, reminiscent of “Spy vs. Spy”. Jim seems unlucky throughout the book. At a weekend at Welch’s, he drinks too much, nearly sets fire to his room, antagonizes the host’s son and girlfriend, and offends Margaret. The editor who showed an interest in his research is getting ready to leave for a post in South America. And Jim doesn’t especially enjoy his chosen career or current post. The climax is the lecture he is to give on “Merrie England,” a chance to impress his supervisor and keep his job, but his drinking problem and desire to win the personal battle against Bertrand and Welch results in something quite different. Lucky Jim is loosely based on the life of Amis’ real life friend and poet Philip Larkin. I didn’t find Amis’ writing as funny/farcical as Wodehouse’s, but Jim, despite his sometimes obnoxious and childish behavior, is likable. The reader can see his inner decency when he tries to protect the feelings of female characters. His combat with Johns and Bertrand is often hilarious. Despite (or perhaps because of) circumstances, Jim is quite lucky in the end. A fun weekend read for autumn. There was a film on the BBC a few years ago that nearly broke my heart. Beryl Bainbridge, then 70, was convinced she was going to die within the year, given that both her parents had died at 71. Her nephew made a film of those “last” months, following her around London and her hometown, Liverpool. It was beautiful and incredibly sad to see the old lady, wheezing yet still chain-smoking, revisit her past. It turned out she had the dates wrong, and she did not die that year, but that was hardly the point. It’s rare to be allowed a frank view of how our heroes and heroines deal with age and death. Someone not familiar with her writing would probably have chosen not to see behind the weirdness of that story, but having read a fair bit of her work, I saw the same eccentricity that pervades it, and loved her even more. And the way she chatted about the stories that made her, you could tell she was an expert storyteller. The obvious genius of the novel is that everybody knows what will happen in the end, and every little detail gains significance, from snippets of conversations about bad omens to the way the people on the upper deck seem utterly bored with their lives, yet they will be the ones to survive. Bainbridge has a field day playing with the readers’ knowledge of events. She weaves little facts into the fictional story, and everything seems completely believable. I can see how people looking for the big drama would be disappointed up until the last few pages, which managed to choke me quite a bit, but I loved the way Bainbridge stubbornly focussed on Morgan’s point of view. As in any good story, he does grow and learn, and it’s mostly thanks to the mysterious and not altogether likeable Scurra, who plays the role of a Mephistopheles. (See, I’m so proud of making all those links. I spare you my “Master and Margarita” theory.) In conversation with him, Morgan discovers and begins to doubt his morals and convictions, and in the end sees his peers and (adopted) class for what it is – something that stubbornly clings to the splendour of the sinking ship and ultimately lacks the willpower to swim to safety.